Super cute right!?!? There are so many fun things about this kit! The watercolor pencils, the bright colors, the awesome stamp set in Sara's handwriting - I just can't pick a favorite! I also really loved the black envelopes included in the kit. They are lined with three different patterns that are so bright & fun and I wanted to use them on the front of a card. I love playing around with the Paper Pumpkin Kits to see what alternative card designs I can come up with. There are so many different ways you can use your supplies in your Paper Pumpkin Kit! I dissected some of the envelopes included in this month's kit so I could use those gorgeous patterns on the front of these cards. I am loving this new In Color - Lemon Lime Twist! 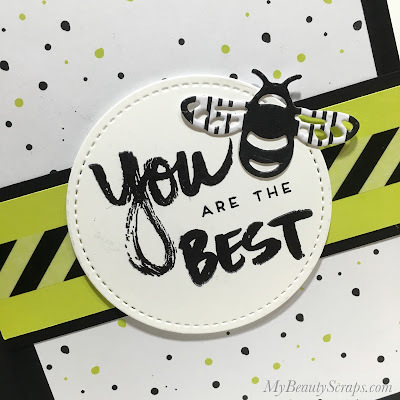 It will be available in Stampin' Up! 's new catalog coming out in June, but you can get it early in one of our Eastern Palace bundles available now! 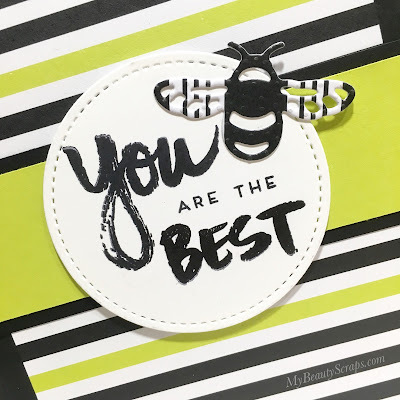 I just love this little Bee from the Detailed Dragonfly Thinlits Die Set! And, the patterned paper in this kit works perfectly with them! 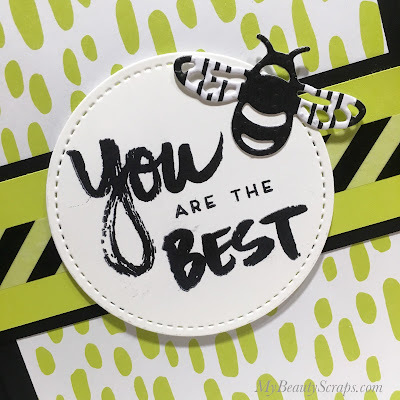 I'm a bit obsessed with the splatter stamp that came in the kit and I had a lot of fun using it to decorate the inside of the envelopes with the washi tape that was included this month, too. It is a nice surprise inside of the card.